MANILA--The Philippine Basketball Association and the Samahang Basketbol ng Pilipinas agreed on sending Meralco as the Philippine representative to the FIBA Asia Champions Cup from Sept. 27-Oct. 2. The league board, whose Meralco representative Al Panlilio is also the concurrent president of the national sports association, made the agreement on Sunday during its annual planning session for the new season at the Venetian Hotel in Las Vegas. It was revealed that FIBA secretary general Patrick Baumann himself requested to have a PBA team play in the said tournament pitting some of the top pro basketball clubs in Asia. Initially, FIBA inserted San Miguel, the reigning Philippine Cup champion, as a competing team in the tournament, but the squad has a Governors' Cup game against sister team Magnolia on Sept. 30. The Bolts actually have a game that will coincide with their Champions Cup stint, a Sept. 28 match-up against the Rain Or Shine Elasto Painters, but the said game will be rescheduled to give way to the tourney. 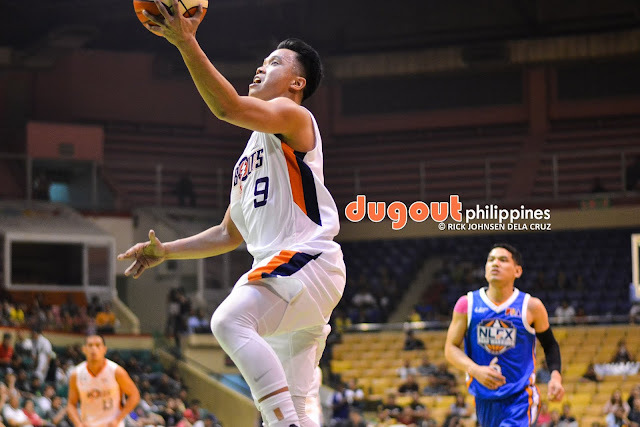 Meralco will go up against the respective defending champions of the Chinese Basketball Association, the Korean Basketball League, and the B. League. Liaoning will represent the CBA, Alvark Tokyo will raise the B. League banner, and Seoul SK will represent the KBL. Also joining are Taiwanese league champ Pauian Archiland, Iranian league champ Petrochimi, Lebanese league champ Al-Riyadi, the defending champion of the Champions Cup, and ASEAN Basketball League runner-up Mono Vampire, the host team of the tournament that will be held at the Stadium 29 in Nonthaburi, Thailand.